From Knox-Robinson Press (Under the Maple Tree), this playful second book by Dr. Steven Clark Cunningham serves up a fun and healthy collection of bite-sized treats that both educate and entertain. Following in the Jurassic footsteps of his award-winning book “Dinosaur Name Poems,” the current poems share the motif of using the names of things (nomenclature) to introduce topics that otherwise may be unfamiliar (as in the poem “Sphygmomanometer”) or even a little scary (like in “Cancer” or “Anesthesia”). 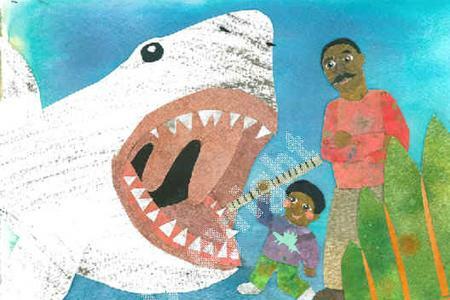 The lyrical nature of the poems and the vibrant warmth of the illustrations give each topic the traction needed to get kids reading right into the poems and on through the “Learn More!” sections that follow each poem. All author proceeds from the sale of “Poemenclature: Poems About Your Body” go to charities supporting children’s physical and mental health! 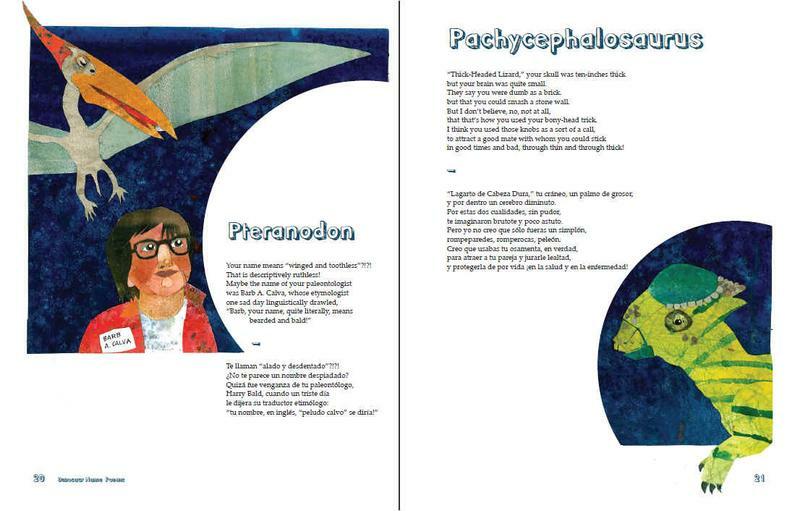 From Three Conditions Press, this 72-page, richly illustrated, bilingual (English and Spanish) collection of poems for young readers won the 2009 Moonbeam Award in both the “Poetry” and the “Spanish Language” categories. 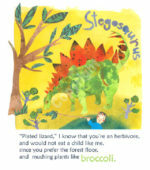 Kids love to know what the dinosaur names mean: Tyrannosaurus Rex is “tyrant lizard king,” Stegosaurus is “plated lizard,” Oviraptor and Velociraptor are “egg thief” and “speedy, or swift, thief,” and my son’s favorite, Pachycephalosaurus, is “thick-headed lizard.” So each poem uses the name of a dinosaur (or other prehistoric beast) as a take-off or setting for the playful verse that follows. 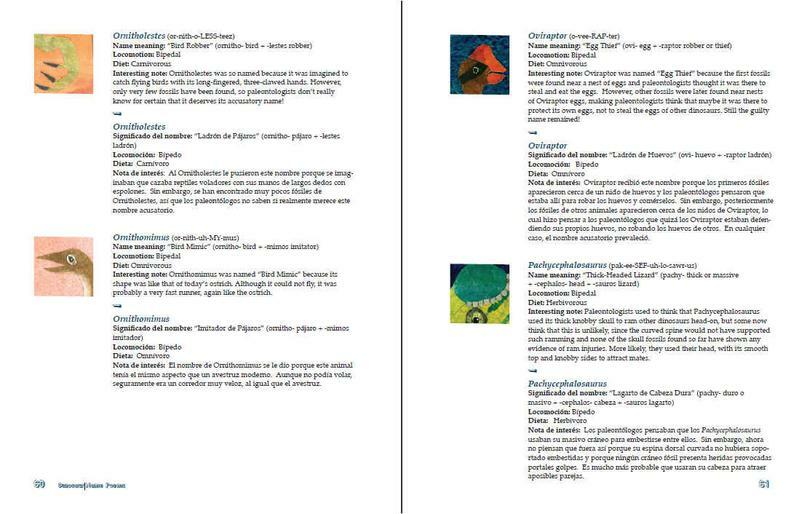 The book includes a glossary of technical terms and preshistoric beasts. The accuracy of all text and illustrations was approved by Paleontologist Dr. Richard Kissel of the Paleontological Research Institution of Ithaca, NY. We would like to thank Dr. Richard A. Kissel, Paleontologist and Director of Teacher Programs at the Paleontological Research Institution and its Museum of the Earth (Ithaca, NY), for reviewing and editing the content of the book for scientific accuracy. Dr. Steven Clark Cunningham was born in Denver, Colorado. After graduating from Creighton University with majors in chemistry and Spanish, he attended medical school at George Washington University in Washington, DC. Having finished his residency in general surgery at the University of Maryland and a fellowship in surgery of the liver and pancreas at Johns Hopkins University, he is currently working as Director of Pancreatic and Hepatobiliary Surgery and Director of Research at Saint Agnes Hospital in Baltimore, MD. A list of Dr Cunningham’s medical writings is found here. He has served as a contributing editor of Maryland Poetry Review, and his poems have appeared in Maryland Poetry Review, The New Physician (winner of literary arts contest), Chimeras, WordHouse: Baltimore’s Literary Calendar, the anthology Function At The Junction #2 (Electric Press, 1997), the cookbook Pasta Poetics (ed. Matt Hohner, 1997), and the anthology Poems for Chromosomes (Watermark Press, 1998). 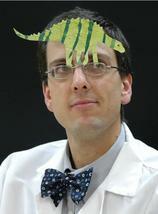 Dinosaur Name Poems (Three Conditions Press, 2009) is his first full-length book of children’s poetry. His second book, “Poemenclature: Poems about Your Body,” was released in October 2016 from Under The Maple Tree, an imprint of Knox Robinson Press. 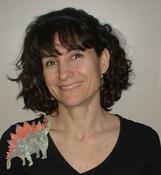 Dr. Myriam Gorospe was born in San Sebastian (Donostia), Spain. She received her Ph.D. from the State University of New York at Albany. She completed her postdoctoral training at the National Institutes of Health, where she studies genes (some of the same genes that dinosaurs might have had!). She has broad experience translating between English and Spanish, ranging from scientific and technical documents to poetry and literature. Susan Detwiler has illustrated several award-winning books for children, including After a While Crocodile, her sixth title for Arbordale Publishing. She is the author/illustrator of Fine Life For A Country Mouse, a picture book published by Penguin Random House in 2014. Her illustrations have appeared in the children’s magazines, Highlights for Children and Ladybug and her artwork has been used for puzzles, games, and greeting cards. Susan was educated at the Maryland Institute College of Art and she and her artist husband live in Baltimore. 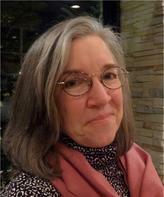 She is a volunteer member of the MD/DE/WV chapter of the Society of Children’s Book Writers & Illustrators. Valeska Maria Populoh grew up in a small town in Germany, immersed in storytelling and rituals. Tales of saints wafting through plumes of smoke in the cathedral blended together with mesmerizing puppet shows beamed in from Poland and the folktales her mother read to her from thick, brown tomes. The calendar was filled with community celebrations – lantern processions on St. Martin’s Day, annual eruptions of color and costume for Carnival… Her childhood was imbued with richness and color. When she moved to America as a young girl, she tumbled headlong into that perplexing terrain of not speaking a language and so improvising pantomime to communicate. Her best tools were picture books and a sticker album her teacher made for her, in which she recorded the words she learned. Art, music and gym class were her solace. From this grew a strong and abiding fascination with language, the power of the body and images to communicate without words, and a sensitivity to feelings of otherness, and the value of community. After years of nomadism, both geographic and professional, she now reside in Baltimore, Maryland, engaged in the community as a puppeteer, performer, artist, and teacher. 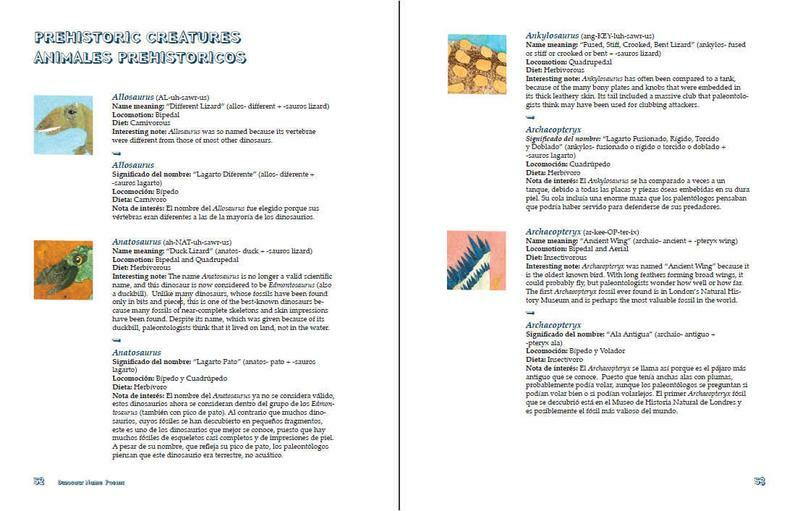 Making art and illustrating dinosaurs is one part of this life, dedicated to celebrating creativity, making joyful, enriching and colorful experiences available and accessible to others, and supporting youth in their endeavor to find their own creative voice. Book Signing on Saturday, November 24th from 1pm-3pm, SweetFrog frozen yogurt in Timonium Maryland. Support a local author, get a signed copy of the award-winning Dinosaur Name Poems ($3; listed for $12.95), and with purchase of book get 20% off your fro-yo! Book Signing on Saturday, November 24th from 4pm-6pm, SweetFrog frozen yogurt in Dundalk Maryland. Support a local author, get a signed copy of the award-winning Dinosaur Name Poems ($3; listed for $12.95), and with purchase of book get 20% off your fro-yo! Third Annual Eat Local, Read Local event at Cascades Library in Loudoun County on Saturday, September 22nd from 10:00am-2:00pm. YABBA FEST a celebration of books, authors, music, arts, and theatre, October 14, 2017 in downtown Warrenton, Virginia. Second Annual Eat Local, Read Local event at Cascades Library in Loudoun County on Saturday, October 7th from 11:00am-3:00pm. Teen Book Festival at the Barnes and Noble in Frederick, Maryland, June 10-12, 2017, with a reading and book signing of Dinosaur Name Poems at 1 pm Sunday, June 12. Tarbiyah Academy, February 28th, 2017, reading from Poemenclature: Poems About Your Body, for the students of Tarbiyah Academy. Tarbiyah Academy’s Scholastic Book Fair Tuesday, March 15, 2016, 10:00 AM, reading from Dinosaur Name Poems, for the students of Tarbiyah Academy. Hillcrest Elementary School, Catonsville, MD, For the children, parents, and community of Hillcrest Elementary on Frederick Road in Catonsville, Math and Science Night: April 17th, 2012, 7 pm. 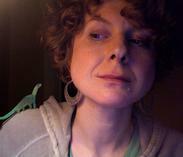 INTERVIEW by NormGoldman of Bookpleasures, December 29, 2009. Enough to paint a flower. Learn More! Your heart is about the size of your fist. As you get bigger so does your heart, and it slows down. A baby’s resting heart rate is 120 beats per minute. 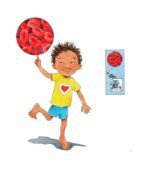 A seven-year-old’s is 90 beats per minute, while an adult’s heart beats about 70 times per minute. A mouse’s heart beats 600 times per minute and an elephant’s heart only 30 beats per minute. but with him by my side I’m not afraid at all. pero con él a mi lado, nada me pasará. for eating your royal subjects wasn’t very cool. pues todos tus vasallos acabaron en tu panza. and munching plants like broccoli. y el brócoli te hace feliz. cuánto me dolió no volverte a ver. Also see more illustrations by Valeska Populoh, including early sketches, on Flickr. 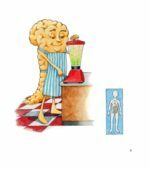 Dr. Steven Cunningham’s new book of poems about the human body, Poemenclature, is loaded with humor, facts, and fancy, along with some whimsical color illustrations by Susan Detwiler. 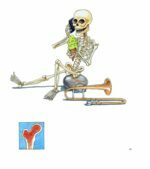 In addition to human anatomy, the poems reference diseases and doctor’s tools. Enjoy it! 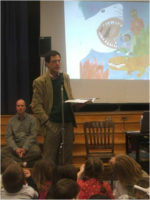 – Douglas Florian, author of Dinothesaurus (2009), a Kirkus Reviews Best Book of the Year, a Horn Book Fanfare List selection and a Junior Library Guild selection; Lizards, Frogs and Polliwogs (2005), a Bulletin Blue Ribbon Book; and Gryphon Award-winner and Parents Magazine Best Book of the Year Bow Wow Meow Meow (2003). 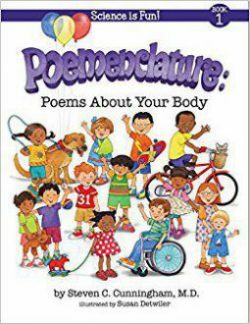 Poemenclature: Poems About Your Body, is a perfect introduction into the complex world of organs, disease, and the tools needed for and diagnosing and treating many serious childhood conditions. Using playful poems and “Learn More!” sections on each page, Dr. Cunningham breaks down these topics in a way that children and their parents alike can understand. 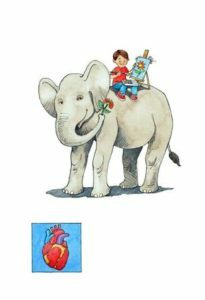 Susan Detwiler’s charming and clever illustrations further enhance and explain the text in ways that children can relate to. 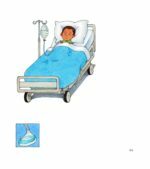 As a former neo-natal and pediatric nurse, now children’s book author/illustrator and mom to three children, I believe this book would make an excellent addition and resource for school classrooms, doctor’s offices, and any parent looking for books to explain these serious topics in a very child-friendly way. 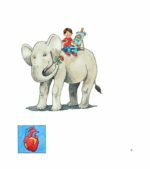 – Joan Waites, illustrator of What’s New at the Zoo? 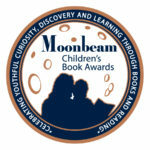 An Animal Adding Adventure and many other children’s books (2009) and recipient of the Teacher’s Choice Award, the Benjamin Franklin Award, and numerous others. This is an exciting and worthwhile addition to literature for kids, particularly if they spend a lot of time around medicine. The poems are fun to read and convey a lot of information. The “Learn More!” section on each topic is wonderful. The illustrations are lively, accurate, and often amusing. – Sue Poduska, Creator of GradeReading.net, a suite of blogs for reviews of children’s literature. Beautiful illustrations and whimsical poems lead readers on a wonderful exploration of prehistory, all of which can be summarized by that all-important word: FUN. 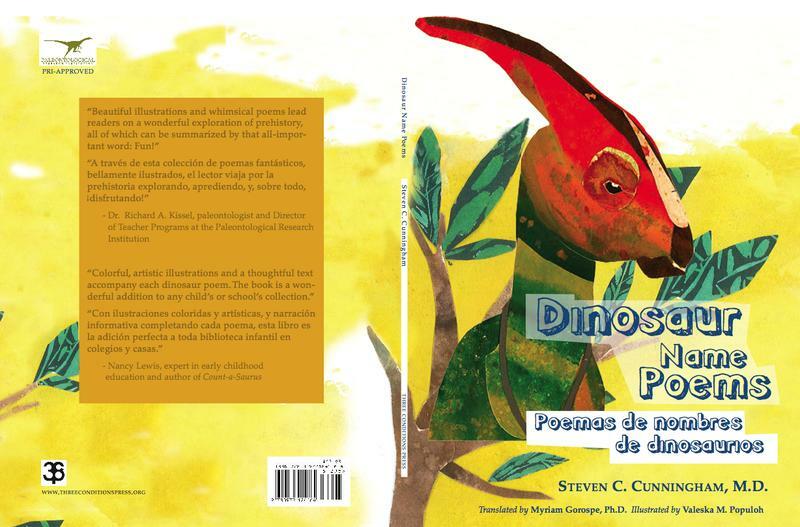 With Dinosaur Name Poems, Steven Cunningham has produced a delightful introduction to a host of prehistoric beasts! The illustrations are colorful and engaging, while a glossary and a section containing brief bios of the creatures closes the book perfectly. Also welcome is the inclusion of Spanish text throughout. As the scientific consultant for the book, I am more than proud to have my name associated with the final product. 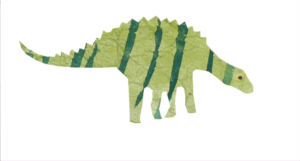 All of the poems have a great roll-along sound and bouncy rhythm, characterizing thirty dinosaurs from Allosaurus to Velociraptor as they play on the meaning of the etymology of the ancient animal’s name. 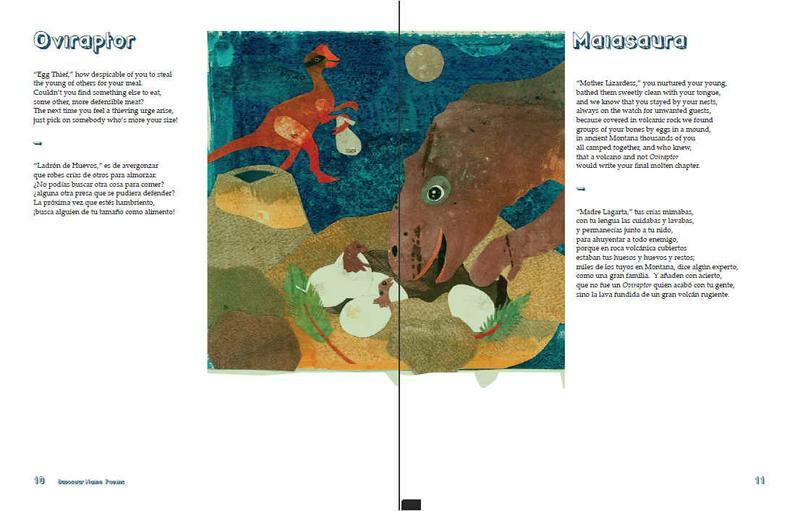 This will unquestionably engage kids … Supporting the thirty poems are Valeska M. Populoh’s laugh-out-loud animated illustrations with their brilliant texture and wonderful palette of colors, notably red, green and blue that are well matched to the text. 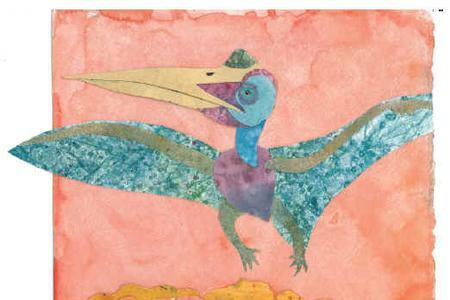 Colorful, artistic illustrations and a thoughtful text accompany each dinosaur poem. The book is a wonderful addition to any child or school’s collection. Thank you to Steven Clark Cunningham, for his boyhood soul and for bringing us, children and grown-ups alike, the fascinating world of our dinosaur friends. The pages in this book are filled with innocence, beauty, and wisdom – the wisdom of transforming poetry into adventure. 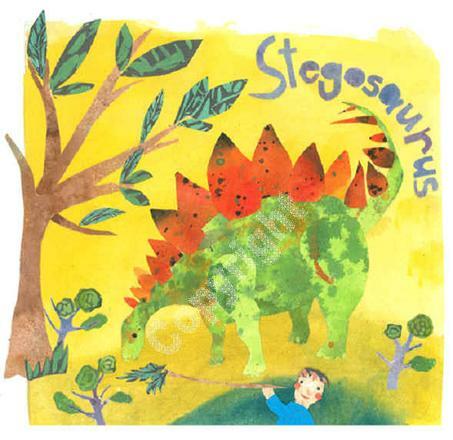 Stevosaurus Cunningham is a witty and entertaining writer who is keenly in touch with both dinosaurs and children and what they must think of each other. We bought 5 books with the intention of sharing, yet we have kept them all- for the car, diaper bag, nanny’s house, downstairs and upsatirs. My little girl loves the book! I really like all of the poems and the artwork. I really like how the poems rhyme and how I learn something about dinosaurs from them. A great introduction to etymology that will appeal to kids on several different levels.